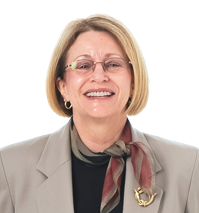 Barbara Krebs Yuill, Ph.D., practices in the areas of patent, trademark, copyright, and trade secret law. She counsels clients in all aspects of intellectual property including patent drafting and prosecution, preparation of patent infringement and patent validity opinions; trademark clearance and registration; license preparation and negotiation; and copyright infringement defense and negotiation. Barb was selected by attorney peers for inclusion in Oklahoma Super Lawyers–Rising Stars Edition 2010 and 2011. Barb has prepared patent applications in the areas of nanoparticle manufacture, treatment and use; chemical processing; metallurgical and ceramic materials and manufacture; oil field chemicals and drilling methods; environmental remediation technologies; and mechanical devices for the medical, veterinary and sporting goods industries. Prior to joining Dunlap Codding in 2007, Barb had her own intellectual property law practice. She was previously an associate at McAfee & Taft in Oklahoma City. Prior to becoming a patent attorney, Barb was employed by Atlantic Richfield (ARCO) as a research engineer where she was co-inventor of U.S. Patent No. 4,579,589 “Process For The Recovery Of Precious Metals From A Roaster Calcine Leach Residue”; U.S. Patent No. 4,752,332 “Treating Manganese Containing Ores With A Metal Sulfide”; U.S. Patent No. 4,740,243 “Metal Value Recovery From Metal Sulfide Containing Ores”; and Canadian Patent No. 1,258,181 “Process For Producing Enriched Mineral Ore Concentrates.” Barb continued her engineering career at Kerr-McGee where she prepared competitor technology assessments including cost and product quality position, and identification of high cost production areas, process alternatives and research and development opportunities in the areas of titanium dioxide pigment, borate compounds, lubricants and specialty greases. Dr. Yuill has authored numerous publications in the environmental engineering area including “Economic Study of Surfactant-Enhanced Pump-and-Treat Remediation,” Remediation of Soil and Groundwater Industrial Wastes, with J. H. Harwell, D. A. Sabatini, G. E. Quinton and S. H. Shoemaker, Proceedings of the Water Environment Federation 69th Annual Conference and Exposition, Dallas, TX, October 5-9, 1996; “Economic Considerations in Surfactant-Enhanced Pump-and-Treat Remediation,” Surfactant-Enhanced Subsurface Remediation, Emerging Technologies, with J. H. Harwell, D. A. Sabatini and R. C. Knox, ACS Symposium Series 594, 1995; and “Surfactant Enhanced Remediation of Residual Organic Contaminants,” Ph.D. dissertation, University of Oklahoma, 1995. Copyright Law for Writers, September 2008 and September 2010, Norman Galaxy of Writers. How to Copyright Your Genealogical Data and Publish Your Family History Without Copyright Infringement, April 2008, Daughters of the American Revolution (DAR) Oklahoma Prairies Chapter. Barb currently volunteers as a CCC program instructor through Community Youth Outreach, a mission arm of Quayle United Methodist Church in Oklahoma City.